The Oregon Coast Aquarium in Newport features many great exhibits: Passage of the Deep, Sea Otters, Seals and Sea Lions, Jellies, Seabird Aviary, Turkey Vulture Aviary, in addition to 3 galleries filled with exhibits that feature native sea life! A new exhibit, Secrets of Shipwrecks, opens Memorial Day weekend 2015. Passages of the Deep is a 1.32-million-gallon exhibit with a series of tunnels that stretch under water for 200 feet. 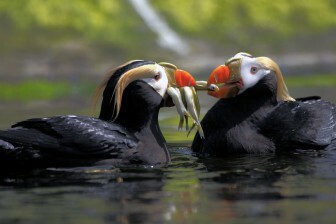 The Seabird Aviary, one of the largest in North America, exhibits seven seabird species. Indoor exhibits at the Oregon Coast Aquarium. 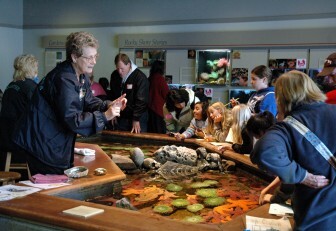 The Oregon Coast Aquarium is open every day, except December 25.